Personalised kitchen design: How can a kitchen change your life for the better? Reuse of materials and waste recycling are one of the basic principles that the world famous Swedish brand IKEA adheres to. 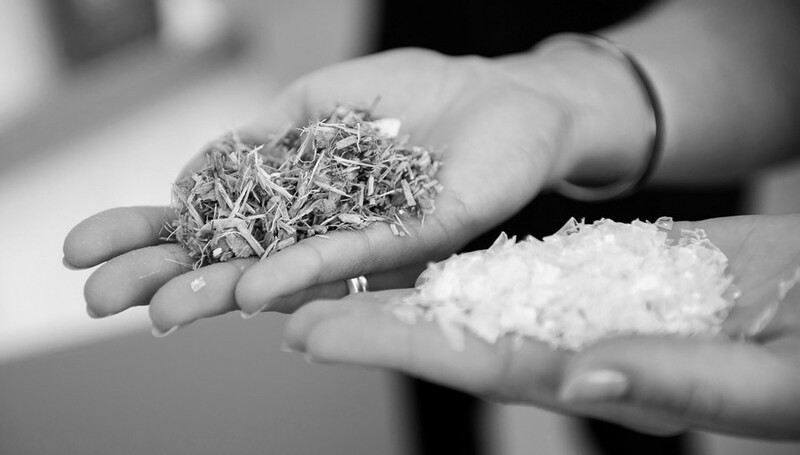 The company pays much time and effort to find ways to give used plastic, wood, paper and other materials a new life. This helps to ease the burden on the environment and take care of the future of our planet. With this type of thinking in mind IKEA came up with an idea of making their new Kungsbacka kitchen cabinet doors. A common PET-bottle is utilized by a consumer for 25 minutes on average. And then takes about 180-200 years to decay. 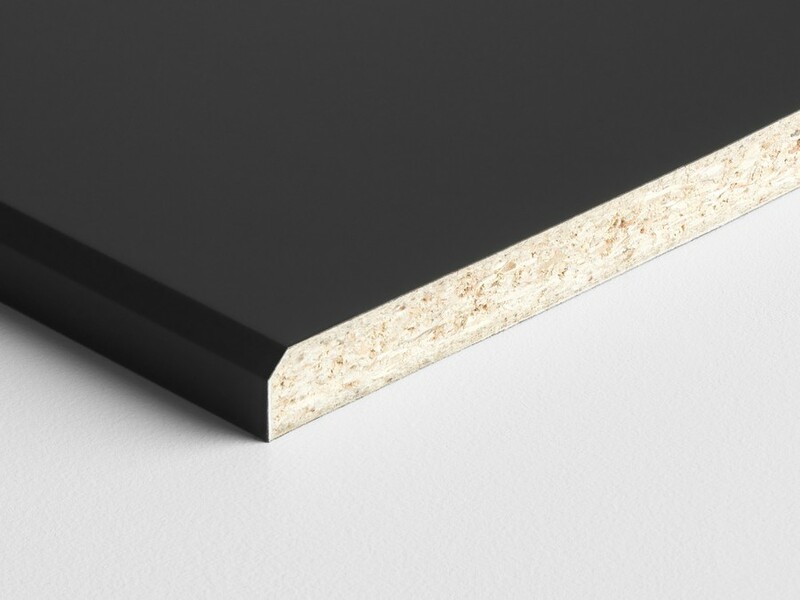 IKEA decided to increase the time plastic bottles can serve people up to 25 years and started to produce a polymeric foil from them – now it’s used to coat Kungsbacka kitchen sets. 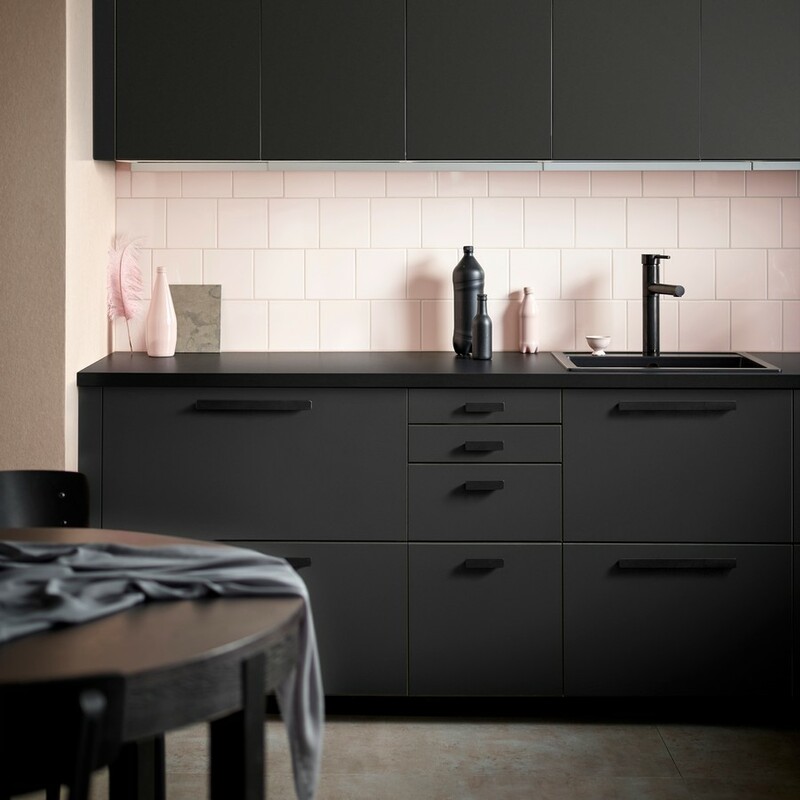 New matte anthracite cabinet doors look very sleek and stylish and they’re as good in terms of practicality as any other kitchens produced by the Swedish brand. 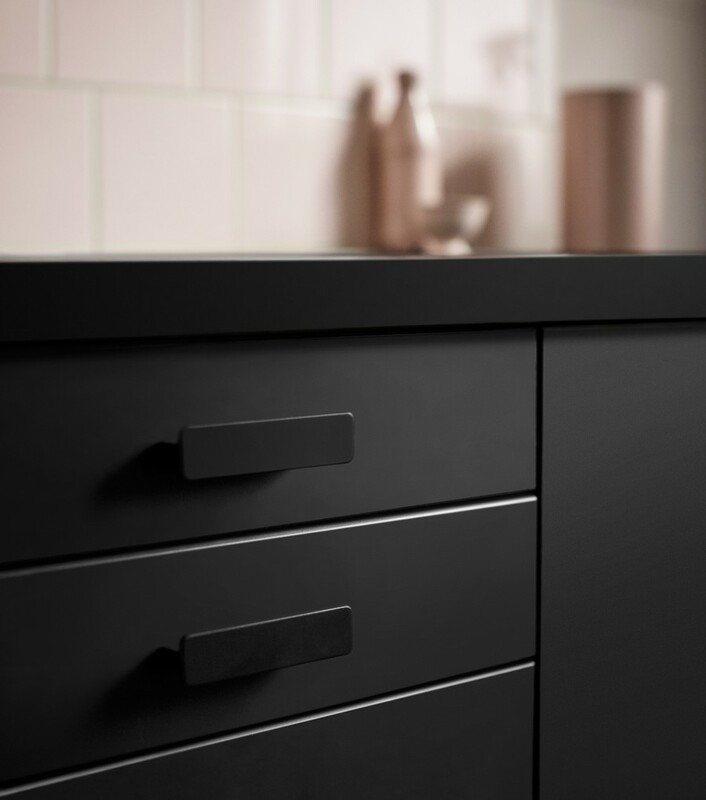 However, Kungsbacka is not the only IKEA’s product based on the principles of recycling and respect for the natural resources. 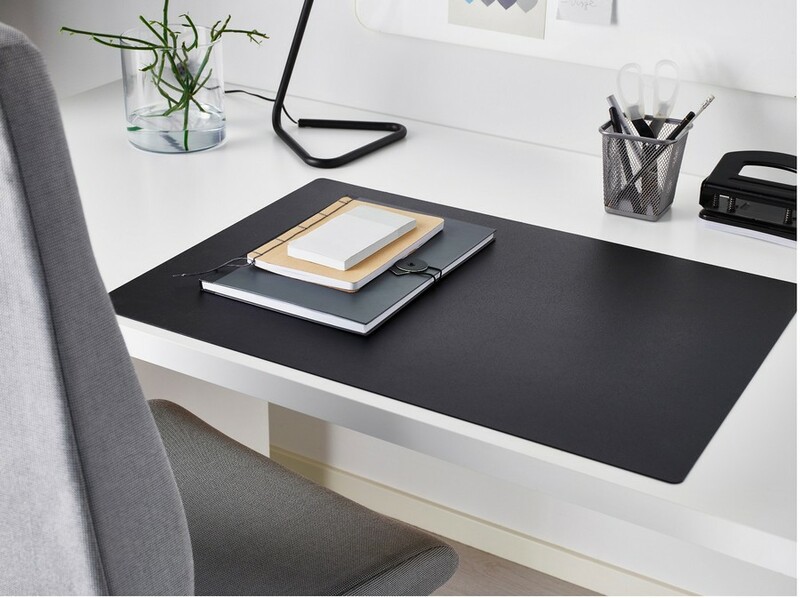 For example, their famous rectangular desk pads dubbed Skrutt are made up of approximately 50% of recycled packaging materials. 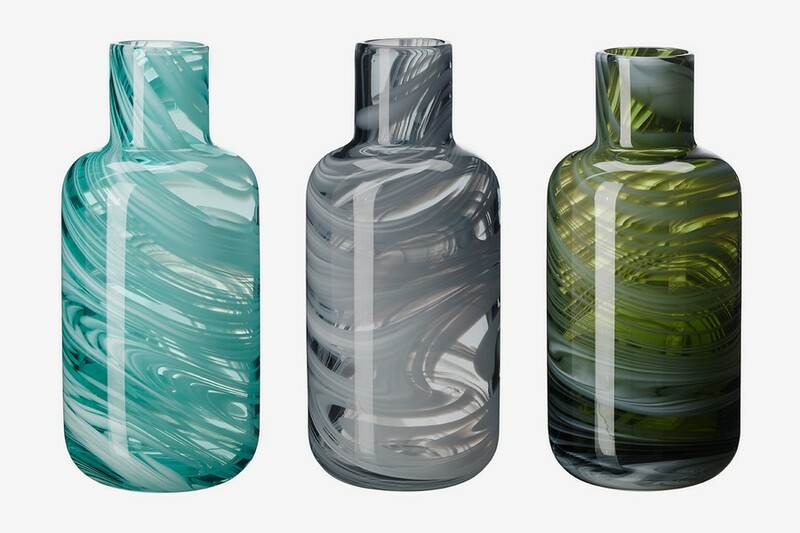 One more good example of IKEA’s responsible attitude to the environment is a new series of mouth-blown vases with gorgeous marble effect from the PS Collection. Actually IKEA produces many glass products, especially on their production site in China. Like any other manufacturing process, it has some rejected pieces that can’t go on sale due to bubbles or other defects. In the end IKEA had plenty of leftover glass pieces of different colors. By re-melting them for the new collection the brand got hundreds of absolutely unique, one-of-a-kind vases, because the color and pattern are always a surprise, despite the fact that they are all mouth-blown in one and the same mould. Also, the Swedish brand manufacturers a few series of boxes and containers made from paper and plastic that were already used before.